ASI Fall 2018 Newsletter | Art Sphere, Inc.
Did you know that December is ASI’s Birthday month? That means that besides being a Sagittarius, this year we are actually celebrating our 20th anniversary –Woo–hoo! 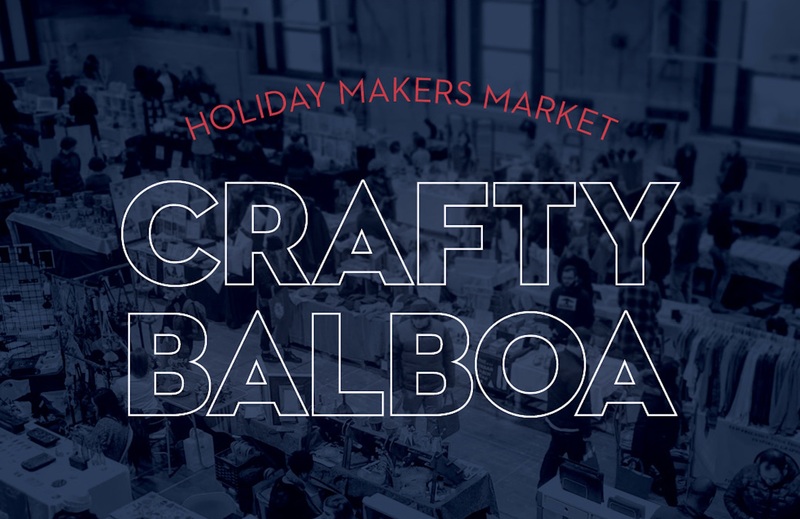 This also means we are having a party in style in the famous “ Workshop” of the Bok Building on Thursday, December 13th, 5-8 and you and your friends and family are invited! Enjoy great live music, refreshments, raffles and more with the creatives and star gazing dreamers that have made ASI so successful. Want to make a difference, be creative and beat the crowd? Visit us right before the show for our 10-12 noon Preview Party and craft and relax with us while learning how to make an Ojo de Dios Mandala at our mini fundraising event. 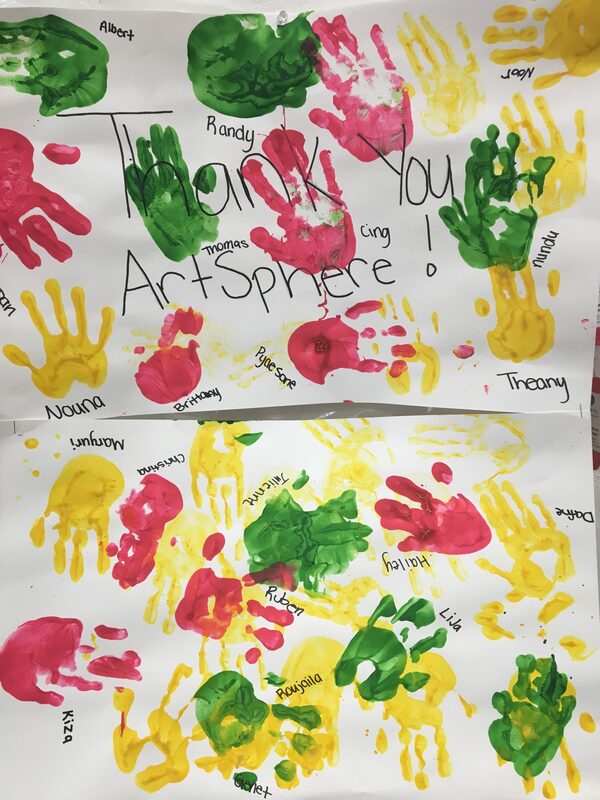 Give a $30 donation to ASI to support free art programs for low-income youth, get a free piece of art and make your own while enjoying refreshments at the BOK Building register now info@artsphere.org Space limited for only 10 participants! And on November 16, 9 am – 12:00 noon Freedom Prep High school volunteers will be helping ASI prep student projects and assemble art boxes. 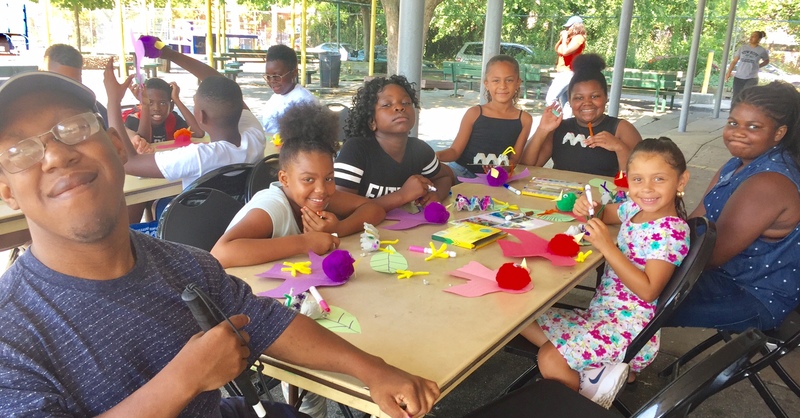 ASI has been giving schools, recreation centers, parks, playgrounds, neighborhood groups and families the artistic tools to nurture youth to become the problem solvers of the future. We collaborate on art projects together; teaching youth new skills like how to take positive chances, develop creativity and perseverance and find their voice through art. Learn about what we treasure most and get a map to follow your dreams! In our summer programs, we engaged youth in many types of writing projects and you are welcomed to have fun with us too! We encourage students, volunteers, and staff to use social media to take empowering selfies with these ASI message bubble handouts. Let the world know who you are! See ASI free handouts here. Using hand puppets to raise courage when learning to sound out words! 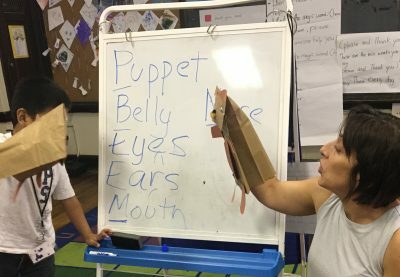 At Southwark School this summer, immigrant youth used puppets to learn how to read out loud with us, practicing tones, inflections, projecting and using the whole mouth to annunciate. With attention on the puppets, students were able to take chances and speak more confidently. Students’ puppets became so well read and able to define vocabulary words that they even had spelling bees. 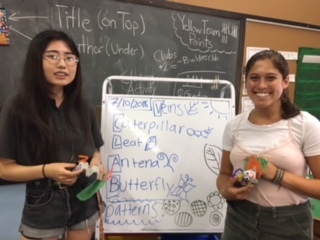 Our daily writing assignments (with prompts and visual instructions) assisted all our preschool and ESL students with reading, writing and bookmaking centered on visual themes. Creativity is internationally recognized as one of the critical skills that today’s students need to develop. Learn how ASI integrates literacy, technology, recycling, health, diversity and more into our curriculum motivating our students to create. Download ASI’s Book of free art lesson plans here. 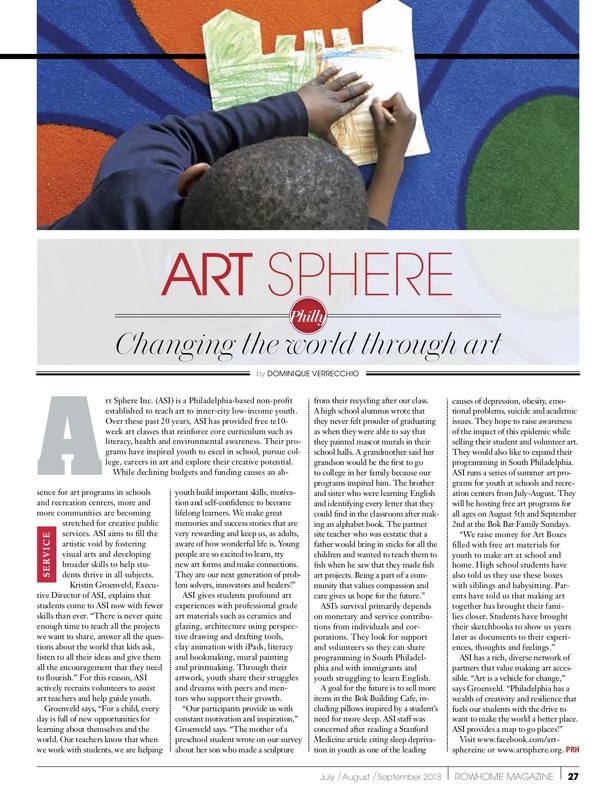 ASI fosters creativity and innovation in preK-12 art education in many ways. 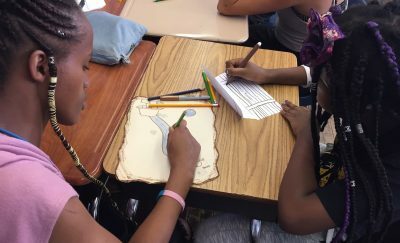 Art teachers, Marissa and Hailey inspire their students to be creative, self-directed and collaborative by using thematic environmental themes in their lesson plans to drive personalized artwork and learning. Students create installations of pollinator gardens to learn the important role insects play in food production. 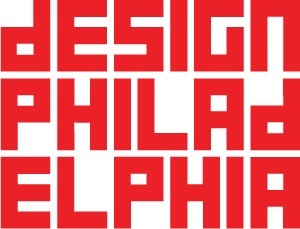 Celebrate Ben Franklin and Decorate and Fly a Kite!Get Electric- Celebrate Ben Franklin and Decorate and Fly a Kite! Thanks to you! 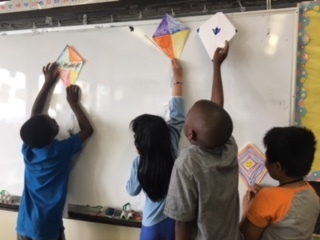 This fall, ASI plans to distribute art materials and school supplies so students could start out the school year prepared to our Preschool Art Programs at Cione and Fishtown Recreation Centers, and ASI’s after school Art Programs at Towey Recreation Center, Southwark School and Penn Treaty School. 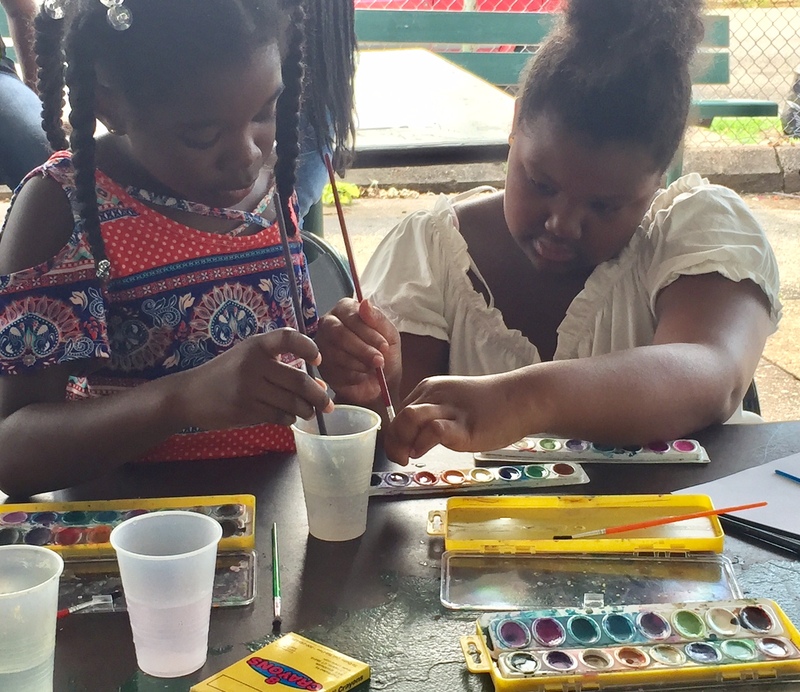 Please continue to help us make a difference by supporting our Art Box Campaign for students who will be new to our programs this Fall. 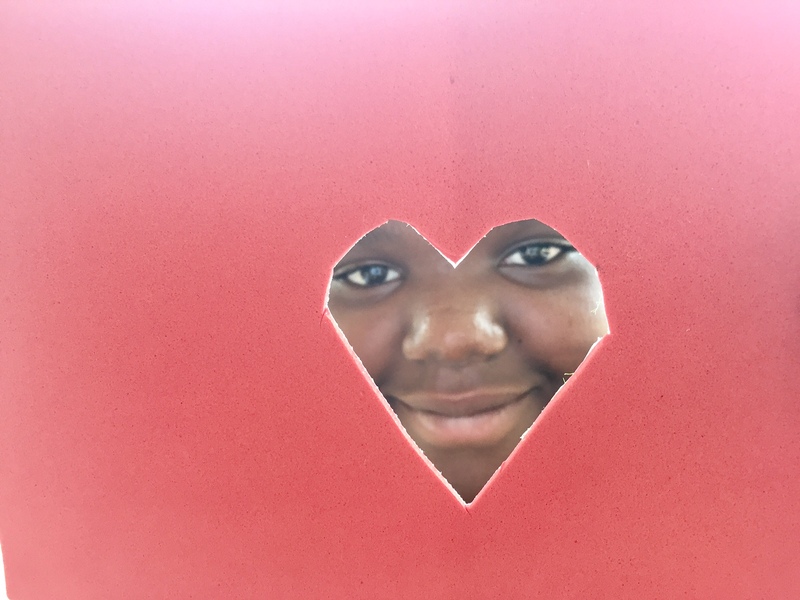 Students from Summer art programs including: Dendy (shown above), Nelson, Samuels Glavin, Cione, Towey and Fishtown Recreation Centers were so happy to have an opportunity to express themselves and be recognized. The more, the merrier! 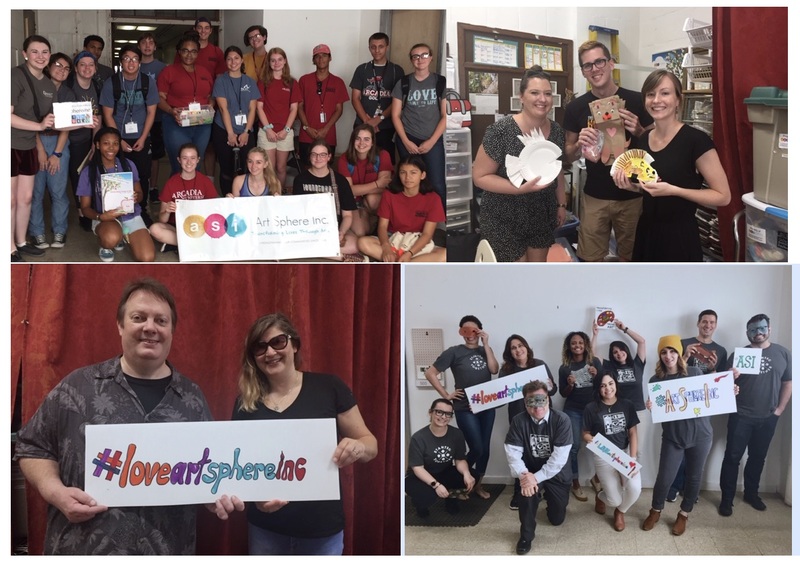 :Thank you Arcadia University Students, Drexel Administrator Groups, Decontrol, Giving Groove and Stantec Volunteers for making a difference with ASI these last few months. 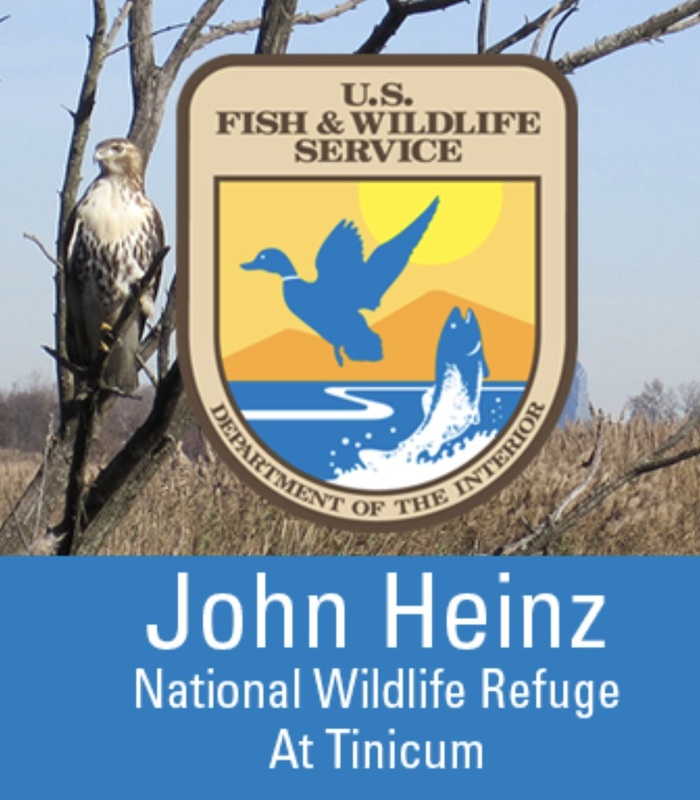 Sign up to volunteer here! Our students thanked us: we thank you! We appreciate the generous support of our sponsors who make our meaningful art programing possible including: Penn Treaty Special Services District, Rosenlund Family Foundation, The Seybert Foundation, The Alfred and Mary Douty Foundation, Louis N. Cassett Foundation, Christopher Ludwick Foundation, The Philadelphia Cultural Fund, The Bread and Roses Community Fund, Robert Wood Johnson Foundation, Stockton Rush Bartol Foundation, Greater Philadelphia Cultural Alliance and the Pennsylvania Council of the Arts. 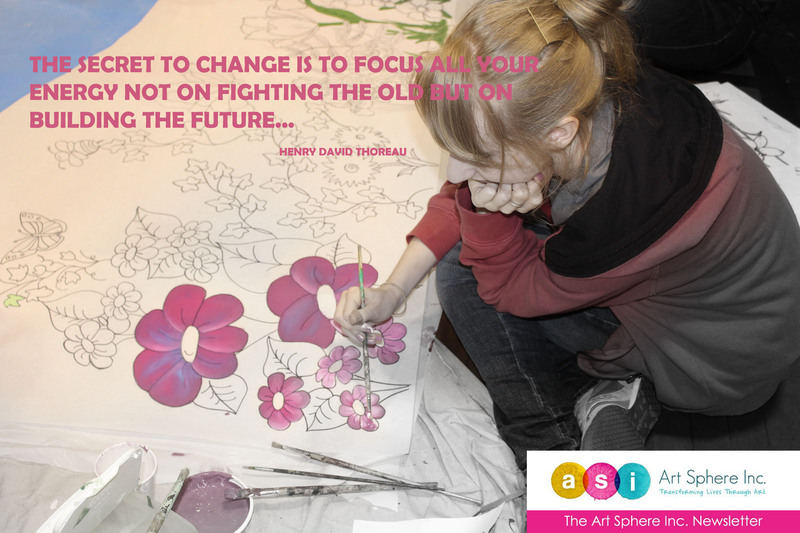 Help ASI help youth create their visions now by clicking here! Share the post "ASI Fall 2018 Newsletter"